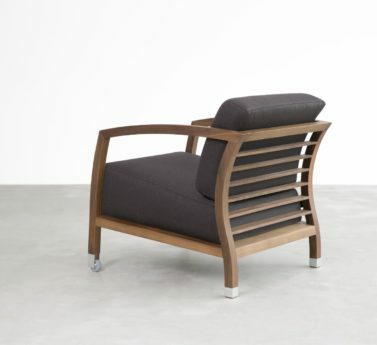 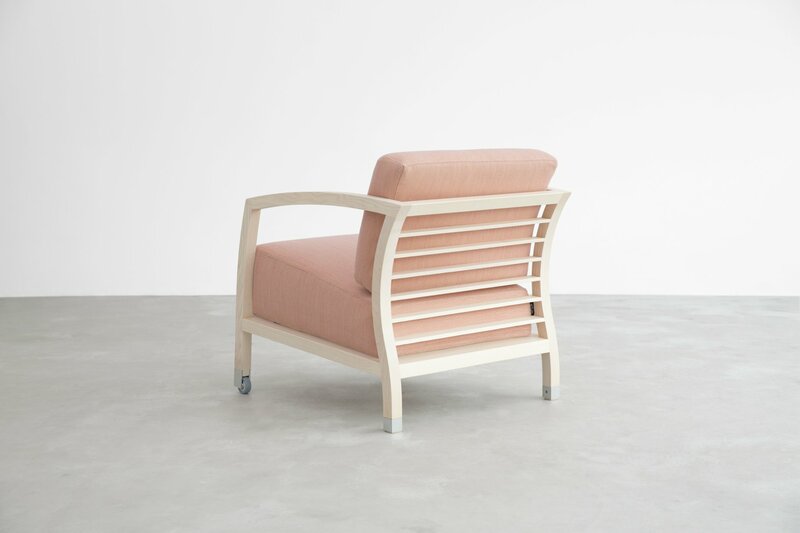 Malena armchair is a Jon Gasca design. 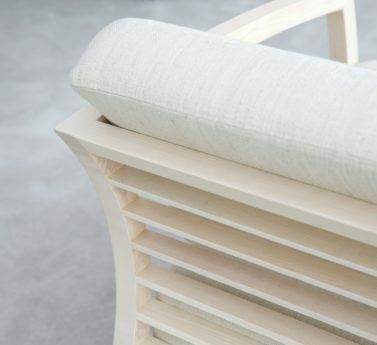 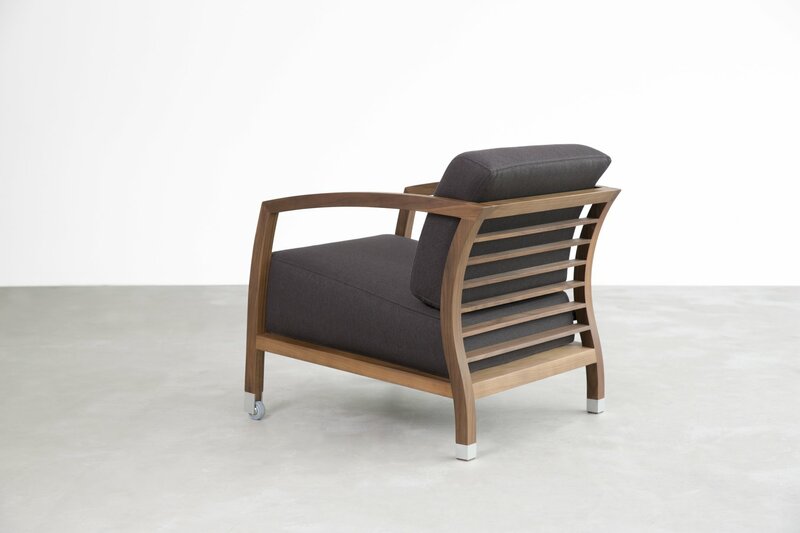 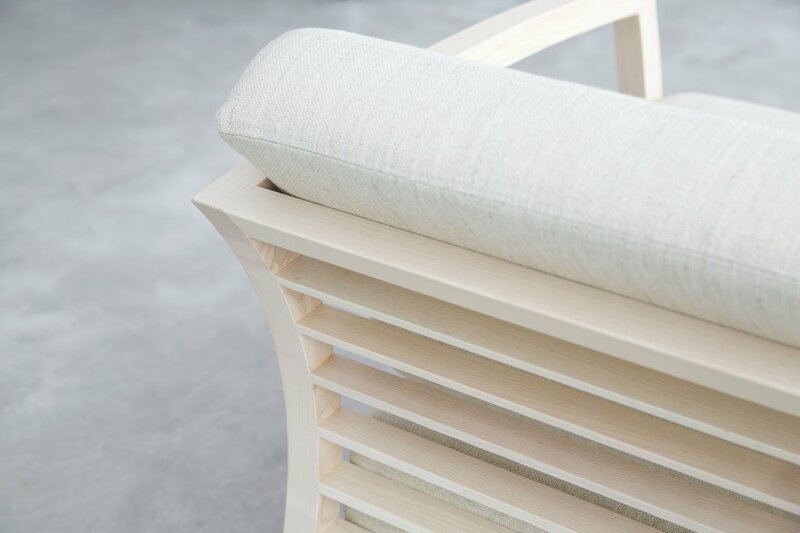 Simplicity and comfort characterise the Malena armchair. 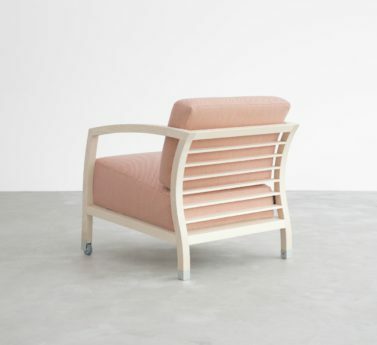 The frame is made of solid wood, with completely removable seat and back covers. 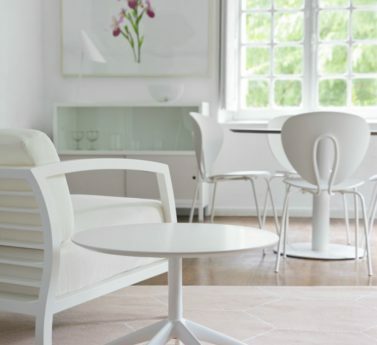 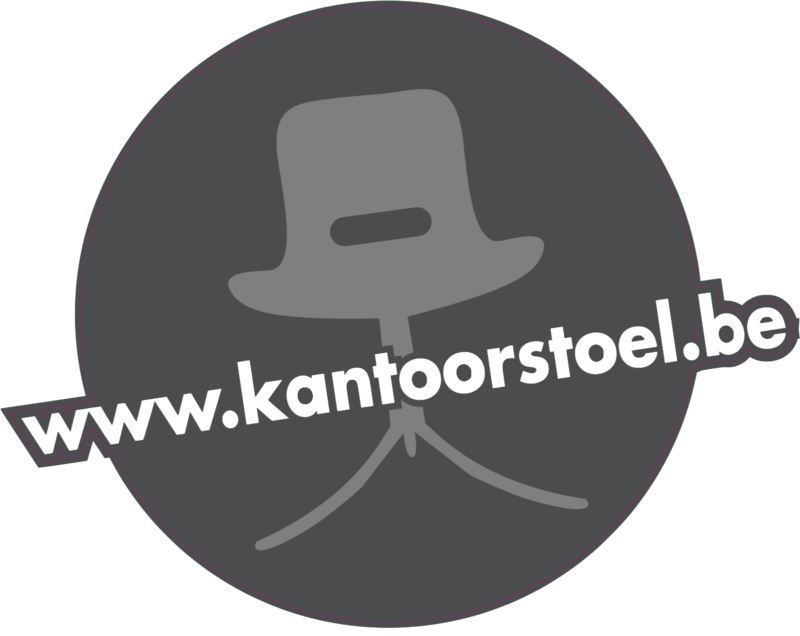 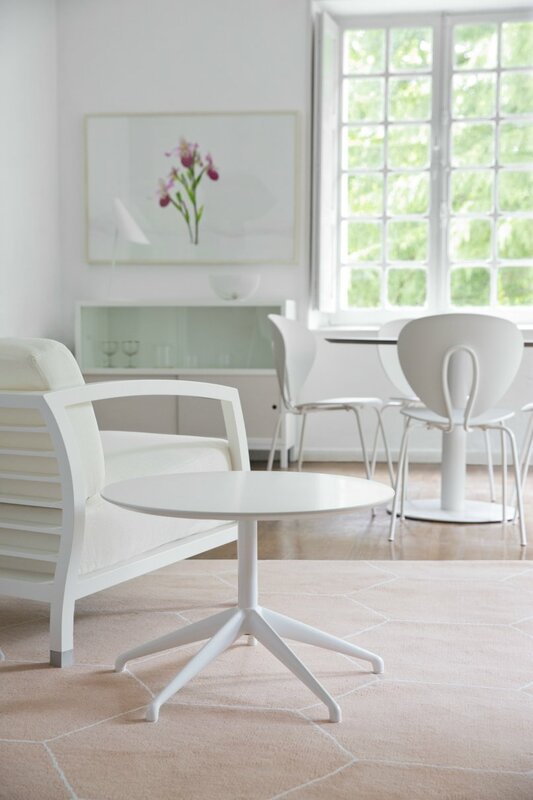 Malena armchair has aluminium legs with castors at the front. 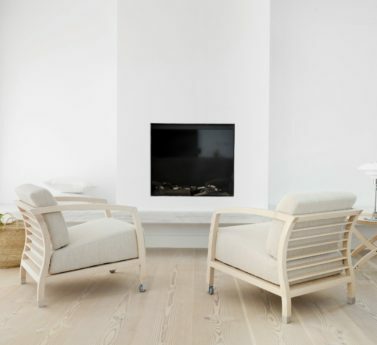 The frame of the armchair is always made of solid wood. 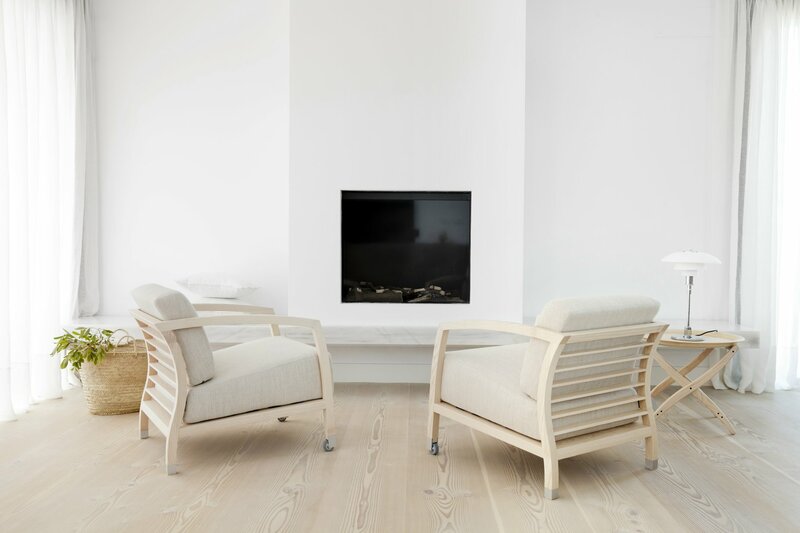 Options: white lacquer, natural ash, grey stained ash.